Hugs!! A resource for you, if you don't already know about it, is The Leaky B@@b on Facebook. They have a page and a closed group (be patient to get into the community group!! It's worth it!) You're doing great!! I had issues too and it was due to my stubbornness that I got through it. A thing that helped me was "never give up on your worst day". My daughter was a barracuda with a small mouth too, it got better when she grew a little. At the end of the day, you're doing your best and your baby is fed. That's success. Always do what is best for you not what others think you should do. You do what's right for your family. So long as a baby is loved, it doesn't matter how they are fed. I was able to breastfeed but I was never able to pump. For some reason I could never get the dang milk out that way. Hang in there! I struggled with breast feeding and pumping myself and I finally had to give up and do formula. I had to do what was best for my son and my milk was not cutting it. So inspired by you, Momma! Exclusively pumping is HARD WORK. I had to do that with my first son for a few months (although thankfully I was able to switch him back to breastfeeding when he was four months old), and I couldn't believe how difficult it was. With this baby, it's the complete opposite! My baby nurses very easily and is a total fatty from it, but I can hardly get anything with a pump. Every baby is so different and you got to do what you have to! Hang in there, love! Keep up the good work. You two are wonderful parents. Thanks for sharing your story with all of us! :) Love you girl! I feel like I'm reading my own story!! Couldn't get baby boy to latch correctly either - we tried the tongue tie procedure and still... He wasn't having it! I am now an exclusive pumper as well. I'm using the app "pump log" to help me track how much I'm making a day. I am totally with you on how hard it is to have to put the baby down and pump. At least daddies can help feed in the evening! And I have also wondered how this will go when we have to travel in the airport or my car... Although I have pumped in the car two times now and so far it hasn't been a big deal. Thanks for writing this post, I'm in the exact same boat with ya! You're doing awesome!! You are doing the very best for Annabelle! Thank you for sharing your story! I obviously can't relate but it makes me feel better to know that it's not always perfect for every momma. Thank you for this!! My baby boy was also born in Sept and our story sounds simlilar to yours. I felt exactly the same way - who knew nursing could be so impossible?! 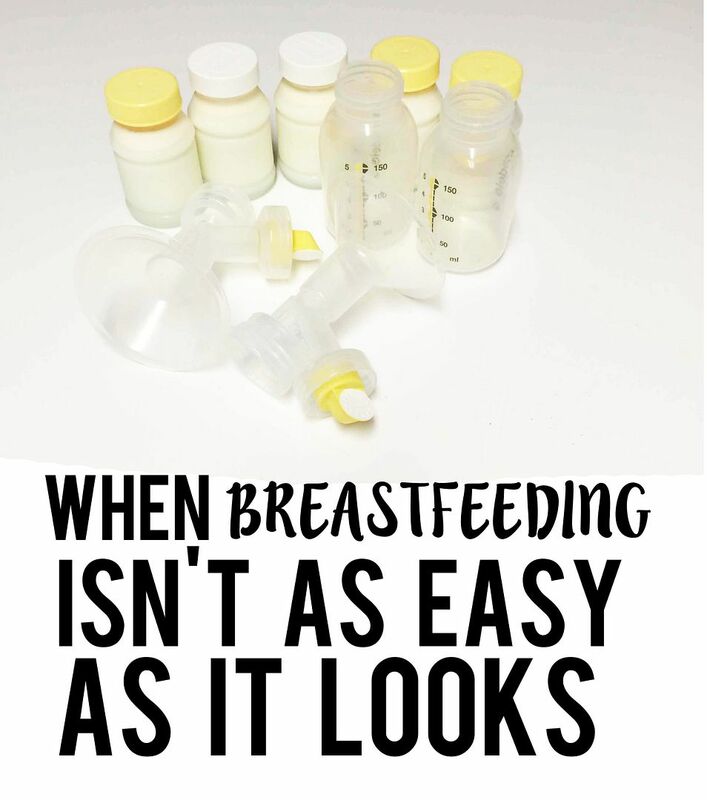 By being exclusive Pumpers, we are breastfeeding our babies in a way that works for us! I commend you for keeping with pumping. You should be extremely proud of yourself and your perseverance. 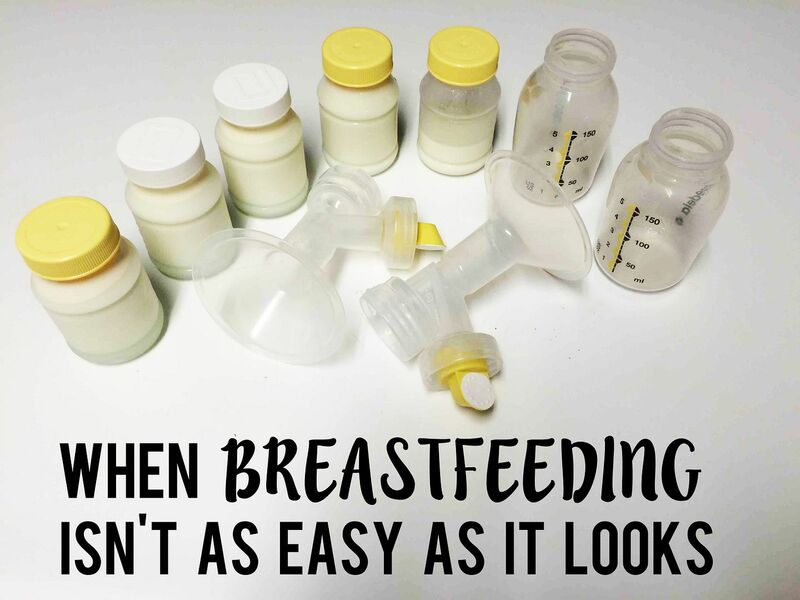 Breastfeeding has never been easy for me, despite what everyone said and the classes we took beforehand. Our first would never latch and I quit pumping way too soon, I felt like a failure. She thrived though and is smart and amazing. I successfully breastfed my next 5, although not without a bunch of bumps and bruises along the way and I stayed determined to not quit. Thank you for sharing your story, your encouragement. It's posts like this that every mom, especially new moms need to read because if you breastfeed, or not or pump, or not, you are an amazing Momma who loves their beautiful baby for feeding your child to the best of their ability. Sorry to be so long winded. Kudos Momma. Kudos. You would be amazed how many mommas have almost the same exact story as you. Take some solace in that fact! I am one of them, minus the low birth weight and that I ended my EPing at 10 weeks. It is so taxing on your sleep, mental health, and extremely difficult when having to find a space at work to pump in between meetings and conference calls. I commend you for commiting to the long haul of a year! Major props! Way to go mama! That is some dedication! I had some issues with getting our second to latch and eat well. I swear, if I wasn't for the easy time I had with the first, I would have given up! Good for you for keeping it up! You are awesome for keeping it up. I feel guilty saying this but I literally never had any issues and I nursed all four of mine, Just lucky I guess because I have heard horror stories! Oh girl! I feel you so much; I want to come reach through this screen and hug you. I had those feelings and tears too, and it is really just the worst. You just feel so helpless and alone, but know that you have so many out here cheering for you. That is awesome that you are able to get that much from pumping! Also great idea to get the hands free bra. I wish I would have done that sooner. And if you ever need someone to vent to, don't hesitate to message me. Sometimes it is nice to just have someone say, I feel you and went through that too. Good job making it to where you are! I think the best thing for me was to give myself short term goals, so I just aimed for the next month, which made me feel more triumphant then dreading trying to get to 6 months or a year. Hi! This is Megan from peas and carrots on etsy. :-) Found your blog through your Instagram and just had to take a peek! After I read this I just had to comment to give my support. I exclusively pumped with my first due to an emergency c section and a week in the nicu...we didn't get off to a great start. Did that for 8 months before my milk dried up. Totally wanted a different experience with my second and at first I thought it was working! Unintentional vbac (she was almost born in the car!) and latched great immediately after birth. Ate and ate and ate and ate...and never got satisfied...and lost weight....and lost more weight...and thus began my journey of exclusive pumping again (And supplementing with formula). This time around I never made enough despite every trick in the book. A few weeks ago (she just turned 5 months) I threw in the towel...I was only pumping 5oz a day. I was pretty bummed...I really wanted it to work this time around but my body had other plans...emergency surgery for retained placenta (second time, my uterus is apparently Velcro), two bouts with pneumonia and just life in general I think made my body say 'yeah, no thank you'. So my sweet Ella is formula fed now...and I've made peace with it. So I just wanted to say good luck with your journey no matter how it ends up...be gentle with yourself!